This series of images is from NRS 4481 Government Printing Office, glass plate negatives. 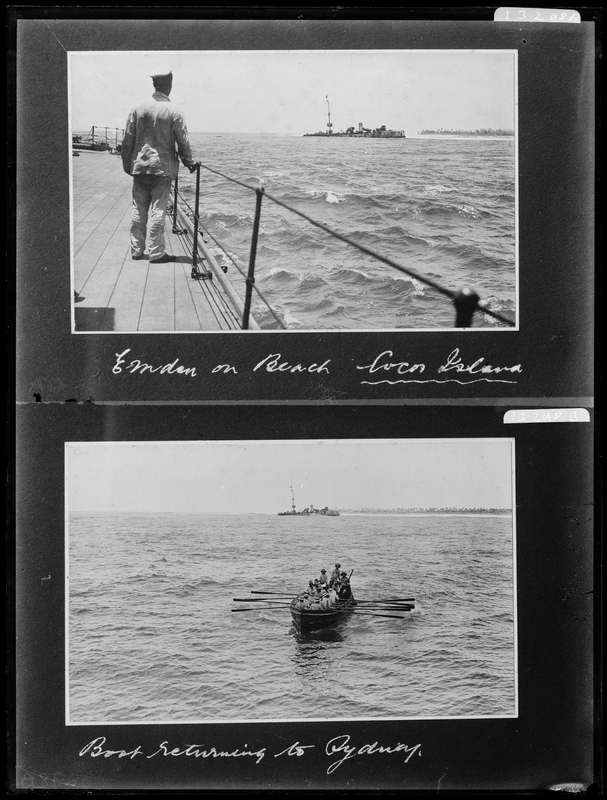 The Government Printing Office (GPO) took a series of photos of what appears to be selected pages from an album that the Australian War Memorial states was compiled by Charles William Burnett, of the Eastern Extension Telegraph Company. The AWM has attributed the photos in this album to J S Triggs and R Cardwell, which were taken on 9-10 December 1914 when a landing party from the SMS Emden came ashore and destroyed the telegraph station on Direction Island, in the Cocos (Keeling) Islands. The images show a German raiding party (led by First Lieutenant Hellmuth von Mücke), ashore on the Cocos (Keeling) Islands to attack the wireless station. 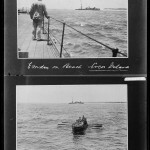 The Germans then had to watch on as HMAS Sydney arrived and began to attack the Emden. The German officers then commandeered a boat and supplies to escape back to Germany.